Orem Utah Condos for Sale; Search Orem Utah Condos for Sale. Our search offers the best online, live search engine in Utah County. 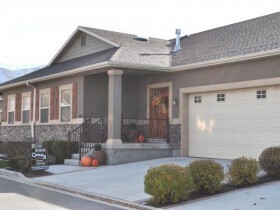 The search has listings of all Orem Homes, condos, and townhomes for sale. When you Orem to our Buyer's Club you will receive daily emails of every new listing and price change within your search criteria. You will have free unlimited access to every home listed for sale in Utah County. Buyers love that our search points out which Homes are Bank Foreclosures of Orem Utah Condos for Sale and which ones are Short Sales in Orem. You will be able to find the Fannie Mae and Freddie Mac Bank Foreclosures and HUD Homes on the first day they come for sale. Be the first to know when a great deal has arrived. Feel free to visit our site as often as you wish. 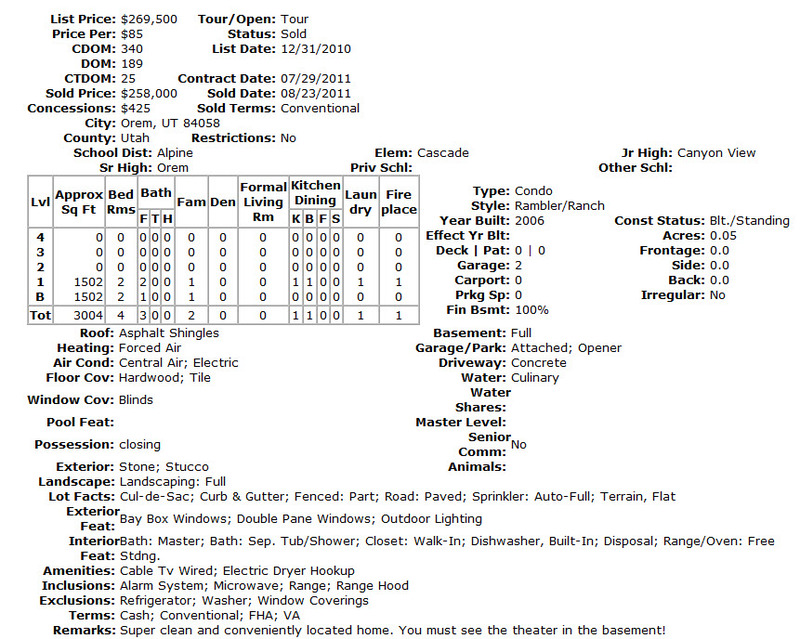 What is Your Orem Utah Condo Worth? Setting the right listing price is a crucial step in selling your home or condo in Orem, Utah. A property priced too high can languish on the market for months. But you also want to maximize your equity, and avoid selling for less than your home is truly worth. The individual real estate markets in the Provo Orem area and throughout Utah County are highly competitive and constantly changing. From 2007 to 2011 the median average price has been going down. You can actually review this data by clicking on the SOLD data link at the top of this page. This is SOLD data specifically for Orem, Utah. Contact Team Teasdale Realty about listing your home for sale, and we'll meet with you to discuss the latest relevant solds in the Orem area, and how your property compares to what's on the market today. Get started getting sold! The information you provide will enable us to begin the comparative market analysis. Based on the data you give us about your Orem property, we'll compile a list of similar homes in relevant neighborhoods -- sales, pending sales, and properties currently on the market. The Principal Broker Paul Teasdale will contact you to discuss the Orem comps, and set up a convenient time to see your home and help you determine the best pricing and marketing strategies. Team Teasdale specializes in internet market. Tell us about your dream home in Orem, Utah. Hire a Orem, Utah Realtor. on what your Orem Utah Condo is worth?